The eighth edition of LEADERSHIP helps you understand leadership principles and hone your own leadership skills through a thoughtful balance of essential theory and real-world applications. 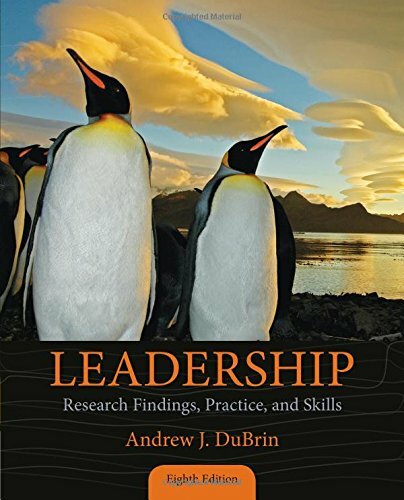 The text provides a strong practical foundation by introducing leaders you can relate to and reinforcing your knowledge with frequent skill-building activities. Key updates include new opening vignettes and end-of-chapter cases, numerous additional skill-building exercises, and new research findings presented in each chapter. In addition, LEADERSHIP is available with MindTap for the first time. A fully online learning solution, MindTap combines all of a student’s learning tools?interactive self-assessments, readings, multimedia, activities, and assessments?into a singular Learning Path that guides the student through the curriculum.